Scooper - Technology News: The United States has lost its dynamism. Could this be the reason? The United States has lost its dynamism. Could this be the reason? The United States is a less economically dynamic place than it was decades ago. That may seem like an outrageous statement to make in the era of unicorn startups , increasing revitalization of major cities, and those pesky job-hopping millennials . But the data show that on a number of fronts, the U.S. economy is more ossified. Workers are less likely to move across state lines. Americans are less likely to start new business. And those businesses are less likely to grow quickly. These trends aren’t just minor concerns for the economy. They are likely deeply entangled with the declining rates of productivity growth in the United States. 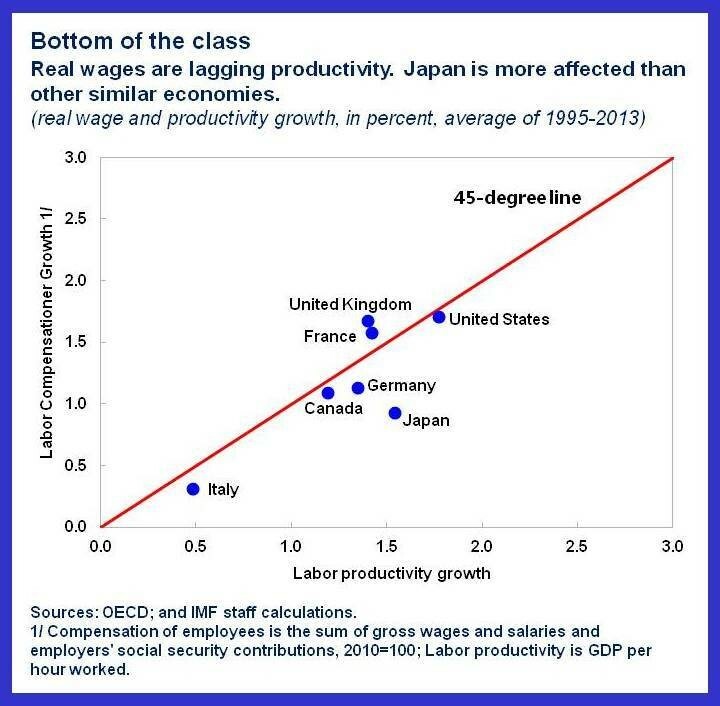 A less dynamic economy is likely to be a less productive economy. If declining dynamism is a symptom of underlying economic problems, then what ails the U.S. economy? In a piece for The Atlantic , Derek Thompson tries to weave together the evidence on what’s causing these trends. Dynamism presents itself in a number of ways in the economy, so Thompson’s piece focuses on two specific aspects. First, Americans are far less likely to move around the country than they were before. Even after the closing of the frontier, Americans moved from state to state quite a bit. But that trend has been on the decline since the 1980s. Thompson runs through a number of potential reasons for the decline in geographic mobility—the Great Recession at the end of the last decade, regional-specific trends, technology—and finds them all wanting. What he hones in on is the increase in housing costs in high-productivity cities. Thompson points to research that shows expensive housing in metropolitan areas with high productivity is keeping middle and lower-income workers out of those areas. To borrow the title of a book with a similar argument , our most productive cities have become gated cities. These few cities, among them San Francisco, New York, Boston, account for the vast majority of venture capital funding . Thompson argues that restricting access to these entrepreneurial cities is pushing down business start-up rates as fewer people have access to these areas. He may be onto something, yet Thompson’s argument about this specific aspect of dynamism depends on the direction of geographic mobility and not necessarily on its level. Some long-distance moves might not happen because the higher housing prices reduces a worker’s disposable income, but there’s evidence that most moves are over very short distances. Research by economists Raven Molloy and Christopher Smith at the Federal Reserve and Abigail Wozniak at the University of Notre Dame shows that not only are long distance moves on the decline, but so are shorter moves within counties. It’s hard to see how higher housing prices in coastal cities affect those moves. Instead, Molly, Smith, and Wozniak point to changes in the labor market. Geographic moves are mostly about moves to jobs, as surveys cited by the three economists show. At the same time, they find that job-to-job and geographic changes are highly correlated. There’s some suggestive evidence from their work that the gains from moving jobs is lower than it once was. One interpretation of this finding might be that workers don’t have the skills needed to move to a newer, higher paying firm. But there’s a more convincing argument, laid out by Byron Auguste in his interview with Equitable Growth’s Heather Boushey, that the problems stem from employers looking at the labor market in the wrong way . This decline in job mobility has serious consequences. In a New York Times story about declining mobility, economist Betsey Stevenson at the University of Michigan points out that in an era of low mobility and job moving, losing your job has a huge effect. “It’s like a game of musical chairs where only half the people get up,” she says. This cruel game of musical chairs could mean more workers are locked out of the labor market and resulting in a less inclusive and productive economy.